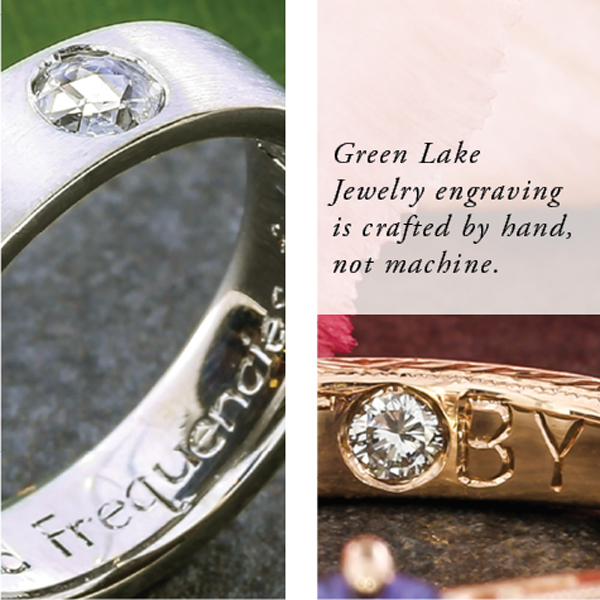 Green Lake Jewelry specializes in an array of Old World jewelry techniques and we take pride in crafting our engraving by hand to continue this tradition. 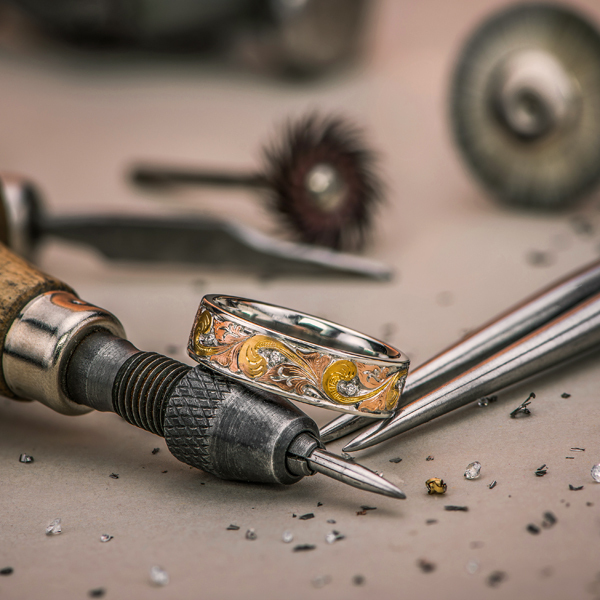 From classic scroll to wheat patterns, our jewelers have the finesse to create other unique motifs to create truly custom wedding band sets. To get a feel for the breadth of designs available- look no further than our hand-engraving gallery. Scroll engraved motifs date back at least to the Bronze Age! Wheat style engraving traditionally symbolized a bountiful harvest. 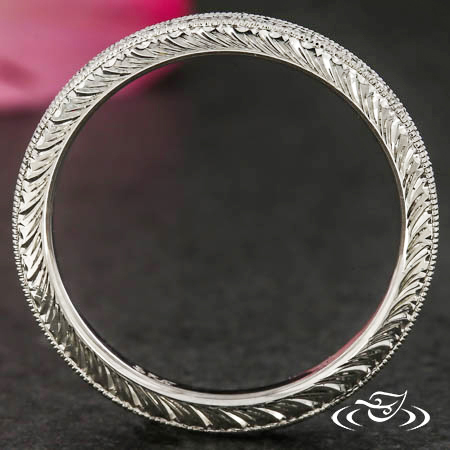 It is a beautiful detail as a side face on this platinum ring. 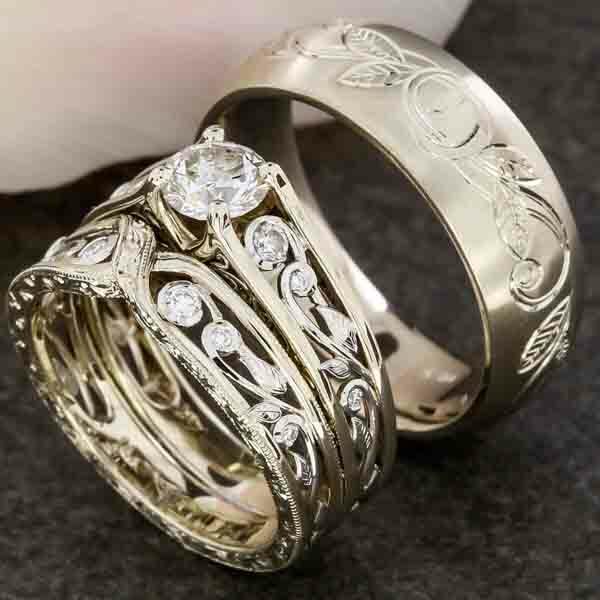 An open swirl with a leaf motif connects this trio of ring designs together. 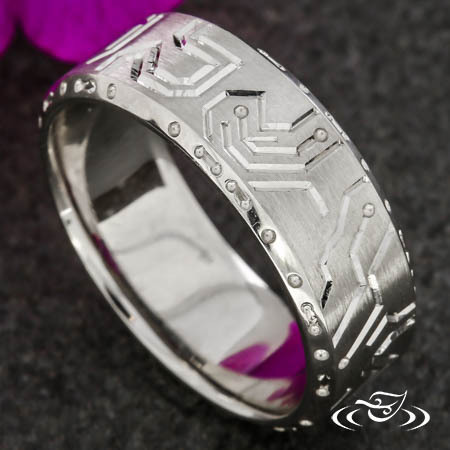 A modern circuit board-inspired engraving pattern. 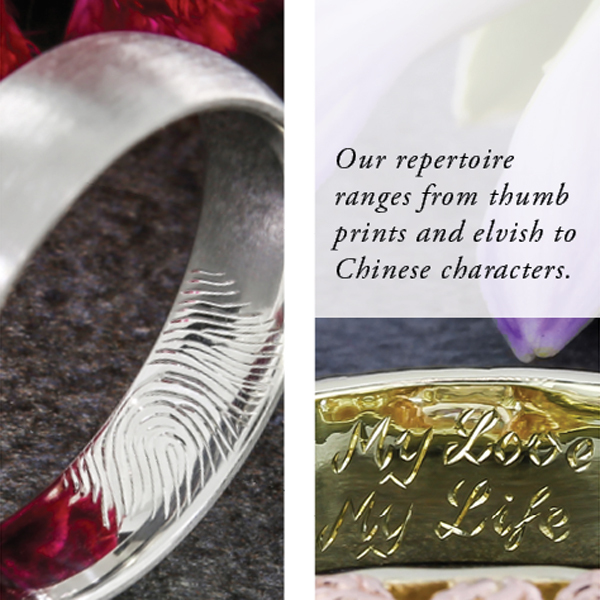 Hand engraving can also be included in a custom design in a more subtle, and perhaps even more meaningful way, as a personal note inside the ring. 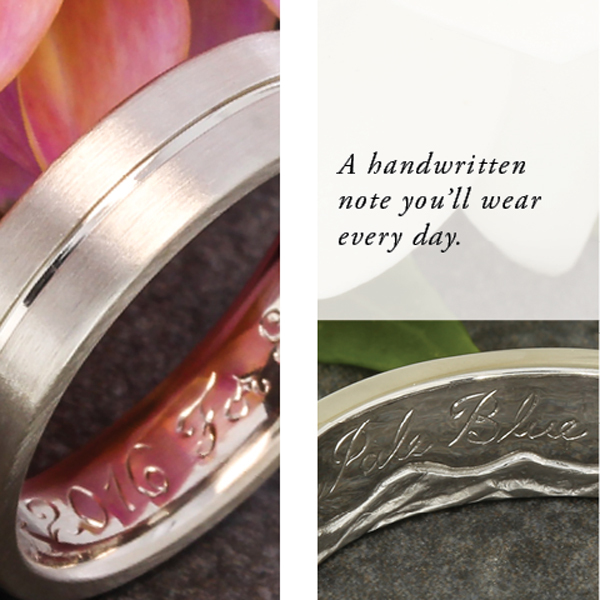 Inside engravings are also a wonderful way to surprise your partner with a sentimental message. This is how inside-engravings are made! We sat down with a master jeweler, Celeste, to see this technique in action. $90.00 for the first 12 letters, $5 for each additional letter. Script font is our standard font, which can vary slightly from engraver to engraver. $120.00 for the first 12 letters, $5.00 for each additional letter. Our jewelers will do their best to replicate a specific font, but we can not guarantee an exact match. For more complex designs with unique layouts, non-english characters, and specialty shapes, your designer will provide a quote before beginning work. If you have a specific inquiry for a custom design or request for a piece you already own, contact us directly for more information.